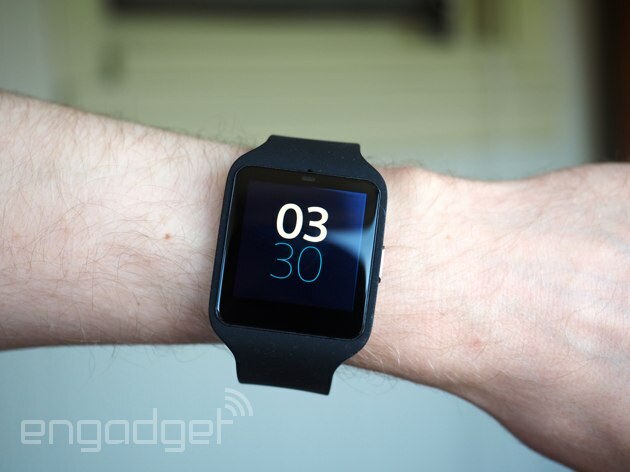 This here is the Sony SmartWatch 3. That might make it sound like it’s the third iteration in a line of gadgets, but really, it’s the first. That’s because even though this is Sony’s third smartwatch (fourth if you count the Sony Ericsson LiveView), it’s actually Sony’s first that comes with Android Wear. Both the original SmartWatch and the SmartWatch 2 ran Sony’s own proprietary platform, which, while Android-friendly, didn’t have nearly the same reach as Google’s Android Wear. It’s great that Sony has finally seen the light, but the SmartWatch 3 has arrived remarkably late to the party, letting rivals like Motorola, LG and Samsung gain ground. On the other hand, the SmartWatch 3 is currently the only Android Wear option with a built-in GPS radio, allowing for more precise workout tracking. Which, as it turns out, could be enough to help Sony stand apart from the pack. Sony’s latest smartwatch won’t be for everyone, what with its dull design and muted screen. Still, this is currently the only Android Wear device with a built-in GPS radio, making it a smart choice for runners and other athletes interested in tracking their pace and distance. While some Android Wear watches like the Moto 360 and the ASUS ZenWatch make attempts at being stylish, Sony’s SmartWatch 3 seems to have given up that notion entirely. Its square watch face, in combination with a rubber strap, definitely gives it more of a sporty, utilitarian look than a fashionable one. Worse still, the band that encapsulates the watch makes the 1.6-inch display seem larger than it is. Indeed, while the bezel surrounding the screen is relatively small, it appears so much thicker when worn in the strap, giving it an unfortunately chunky appearance. Yet, the fit is not altogether uncomfortable. The flexible strap is coated in what feels like a soft-touch velveteen material, and the weight of the core watch unit is only 39 grams (with the strap, it’s about 66 grams). It’s relatively easy to take on and off thanks to a simple metal clasp, which you can adjust to fit the size of your wrist. The watch might jostle around a bit when you’re running, but on the whole I found it pleasant enough to wear on a daily basis. The SmartWatch 3’s wrist strap comes in a few different colors: white, black, pink and green. To swap them out, simply push the watch unit out of its rubber enclosure; it should pop out without much effort. That’s easy enough, but this does mean that the SmartWatch 3 isn’t compatible with standard 22mm straps, so you’re stuck with whatever bands Sony offers. Unlike a lot of other smartwatches, Sony’s latest doesn’t need a proprietary charging dock or cradle. It actually has a micro-USB port housed right in the watch itself, over on the backside, covered by a removable rubber stopper. Though portable charging docks generally contribute to slimmer and more streamlined designs, I actually really like that the watch has this built-in port. If it means not having to carry around yet another thing with me when I travel, I’m all for it. I do recommend popping the watch out of its rubber strap before plugging in the charging cable, however, because it’s rather awkward otherwise. If you want the watch to survive a dunk in the pool, you should definitely keep that micro-USB port sealed. Once covered though, the SmartWatch 3 is IP68-rated for dust and water resistance, which means it can withstand submersion in up to 4.9 feet of water for 30 minutes. That’s a touch better than the IP67 rating for most other watches like the Moto 360 and the LG G Watch R, which can supposedly be submerged in up to a meter (3.28 feet) of water for half an hour. Though you’ll be doing most of your navigation via the watch’s touchscreen display, the SmartWatch 3 does have a physical button on the side for when you need to quickly wake it up (or put it back to sleep). You can also hold it down as a shortcut to the Settings menu. 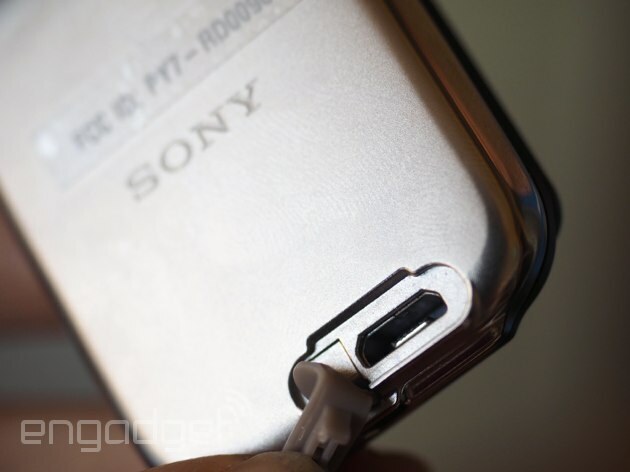 The button sits slightly above the surface of the strap and has a nice give when pressed. Internally, the SmartWatch 3 makes use of a rather beefy 1.2GHz quad-core ARM Cortex-A7 processor along with 512MB of RAM, plus 4GB of built-in storage so that you can load it with apps and music from Google Play. Other sensors include an accelerometer, a gyroscope and a compass. Of course, it also has Bluetooth, which you can use to pair with your phone, or connect to a set of headphones. As I noted earlier, the SmartWatch 3 is also the first Android Wear device to have built-in GPS, which I’ll return to in much greater detail in just a moment. It’s also said to have WiFi and NFC capabilities on board, but as Android Wear doesn’t quite support those two functions just yet, I wasn’t able to test them. Still, it’s comforting to know that the SmartWatch 3 is future-proof in this regard — something I can’t say about most earlier Android Wear devices. While the design of the SmartWatch 3 might not exactly dazzle you with its style, its display is something else. It’s not round like some of the fancier Android Wear options and it’s a hair smaller too, but its clarity more than makes up for it. The 1.6-inch screen has a 320 x 320 resolution, which amounts to a pixel density of 283 ppi, making it one of the sharpest panels you’ll find on any Android Wear device. I had no problems reading text, even on such a small display. I did, however, find the colors to be a bit muted and the whites to be a little yellow. Suffice it to say, it’s not quite as stunning as the OLED screen we saw on the LG G Watch R.
In exchange for some dull colors, though, a transflective LCD screen makes the SmartWatch 3 easy to view in direct sunlight. I left it on auto brightness most of the time, and thanks to the ambient light sensor, I was able to tell time and find out what song was playing with a quick glance, regardless of how bright it was outside. Like most other smartwatches, the SmartWatch 3 packs an internal accelerometer that lights up the screen whenever you lift it to meet your eyes. This, however, takes a second or so longer than I would like. Normally, this isn’t a big deal, but when I was out and about, running errands, it got a little annoying. In a sign that Sony is finally coming to its senses, the SmartWatch 3 is blessed with Android Wear and not some proprietary Sony operating system like its previous smartwatches. That means if you’ve read any of our reviews of previous Android Wear devices — or maybe even own one yourself — you probably already know how to use the SmartWatch 3. But perhaps you could use a refresher, so here’s a brief primer. You’ll need an Android phone to get started (obviously), at which point you’ll need to download the Android Wear application. From there, it’s just a matter of pairing the watch with the phone by following the onscreen instructions. Interestingly, I wasn’t prompted at all to install any additional software like some of the other Android Wear watches (the Moto 360, for instance, requires Motorola Connect, while the ZenWatch wants you to have the ZenWatch Manager installed). As for navigating the watch itself, here’s how it works: From the default watch face, you can swipe down to reveal the date, battery life information and gain quick access to mute, Theater Mode (where it shuts down the display) and the settings. Whenever you get a notification, you can swipe up take a peek, and then swipe right to dismiss it or left to get a further look at it. Pressing down on the default watch face lets you swap out different watch styles. It’s all fairly intuitive and you should have no problems navigating it if you’re at all familiar with smartphones. If you’d rather not go through the trouble of finger-swiping, you can also give voice commands thanks to the watch’s built-in microphone. Simply say, “OK Google,” and it’ll bring up a short list of eligible voice commands. You can tell it to do all kinds of things, like set a reminder, send a message or find directions, and it’ll do so. Voice recognition can be a little spotty — I sometimes had to repeat myself once or twice — but it worked pretty well most of the time. As I mentioned up top, the most distinguishing feature of the SmartWatch 3 is that it’s the first Android Wear device with built-in GPS. This is a very important feature for runners, who often like having GPS in their watches to track their distance, route and pace. In previous Android Wear devices, you still had to lug your phone around with you in order to get that geolocation data, which can be a pain if you want to run with as little burden on you as possible. The SmartWatch 3, on the other hand, lets you keep track of your run completely phone-free. 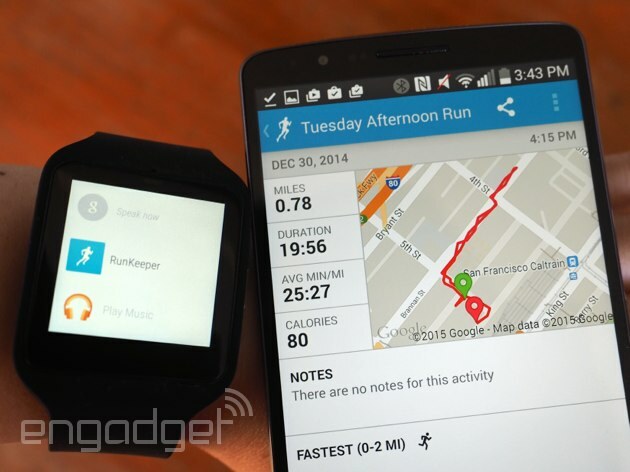 Of course, this only really works if you use a running app that taps into the built-in GPS function of Android Wear. There aren’t too many of these available right now, but thankfully one of the more popular ones, RunKeeper, updated its app to take advantage of it. I simply downloaded RunKeeper on my phone and it automatically synced the app to my watch. I then left the office to go on a brief walk, leaving my phone safely in my desk drawer. Before I took off, I told the RunKeeper app on the watch to start tracking the workout, and it did. When I came back and reconnected the watch with my phone, it automatically transferred the route, along with the pace and distance information, to the RunKeeper website. In short, the SmartWatch 3’s GPS function works as advertised, and I can imagine it being a popular feature among runners and joggers. While the SmartWatch 3 also has a pedometer for counting steps, it curiously doesn’t have a heart rate monitor like on the Moto 360 or ASUS ZenWatch. We’ve had mixed experiences with these optical heart rate sensors in the past, but omitting it completely in a supposedly sports-oriented watch seems like a big oversight. That said, the fact that the SmartWatch 3 includes two other uncommon features (WiFi and NFC) could make up for it. We just have to wait for the supported apps to arrive. With a 1.2GHZ quad-core ARM Cortex-A7 processor along with 512MB of RAM, the SmartWatch 3 performs beautifully. I experienced little to no lag when navigating around the watch, and voice commands took no time at all to register. As I mentioned earlier, the accelerometer did seem a little slow to act when attempting to light up the watch with an elbow raise, but on the whole, performance was good. 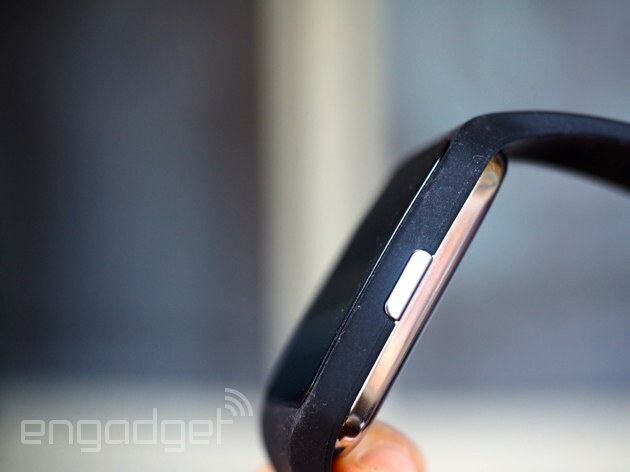 Battery life, however, is where the SmartWatch 3 really shines. It packs in a 420mAh battery, which is the biggest battery we’ve seen yet in an Android Wear watch. The rated longevity is somewhere around two days. In practice, I found this to be mostly accurate. I left notifications on for Twitter, Facebook and my calendar appointments; used GPS to track the occasional walking route; listened to a few songs on repeat (which I loaded onto the watch via Play Music); and used voice commands extensively throughout the day. The watch kept trucking along for about a day and half before it started begging to be plugged in. When I switched over to Airport Mode and kept the display off for the rest of the day, it lasted almost a full 48 hours. Under what I’d consider moderate to heavy use, that’s quite impressive. The smartwatch space is getting increasingly competitive, which makes it all the more important for newcomers like the SmartWatch 3 to stand out. Thankfully, it does. It’s certainly not as stylish as the Moto 360, LG G Watch R or ASUS ZenWatch, and it doesn’t have the sort of unique circular display you’ll find on the first two. At $250, the SmartWatch 3’s price is priced on par with the competition too; the 360 and G Watch R cost $250 and $299, respectively, while the ZenWatch rings in at a more affordable $200. 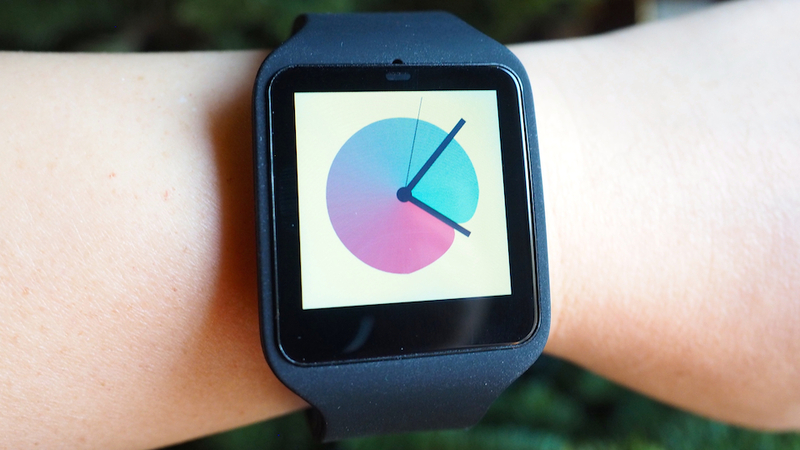 But what the SmartWatch 3 lacks in style, it makes up for in features. It has built-in GPS, which is great for runners and outdoor enthusiasts, and other goodies like WiFi and NFC mean that the SmartWatch 3 is far more future-proof than any of the other Android Wear devices on the market. Further, its battery life is relatively good, lasting a whole day longer than rivals like the ZenWatch and the Moto 360. 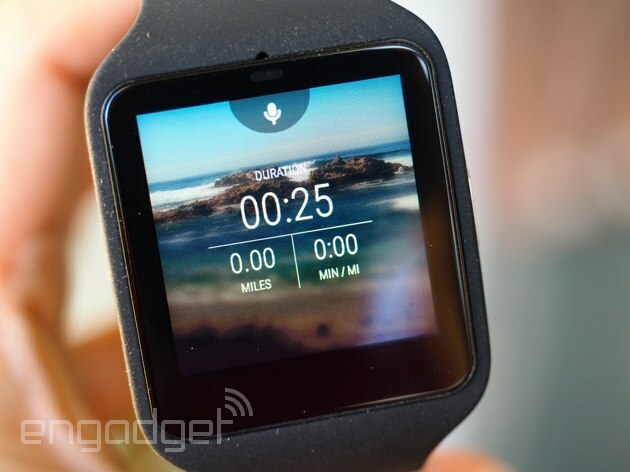 Sony’s SmartWatch 3 certainly isn’t for everybody. It’s dull compared to its rounder, sexier rivals; its strap is made out of rubber rather than leather; and the display is not as bright or vibrant as others. But if you care more about function than form, the SmartWatch 3 suddenly looks a whole lot more interesting. For runners in particular, built-in GPS is a great feature that lets you leave your phone at home. It also has WiFi and NFC, making it more future-proof than the competition. It also eschews the need for a charging dock thanks to a built-in micro-USB port and has a battery life that makes it one of the longest-lasting smartwatches on the market. 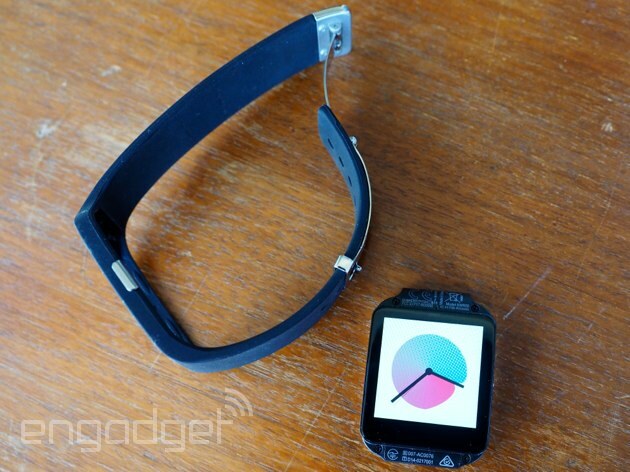 No, you shouldn’t get the SmartWatch 3 if you want a watch to impress people at a cocktail party. But if you want one that’s more suited for fitness, this is absolutely worthy of consideration. Smartwatch that keeps the calendar locally? 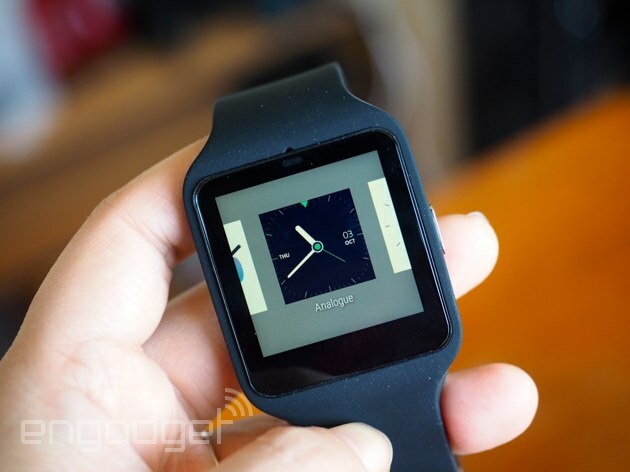 Talk about the Google Android Wear with other people who own it too! What running apps works with the GPS? Is the display Gorilla glass? 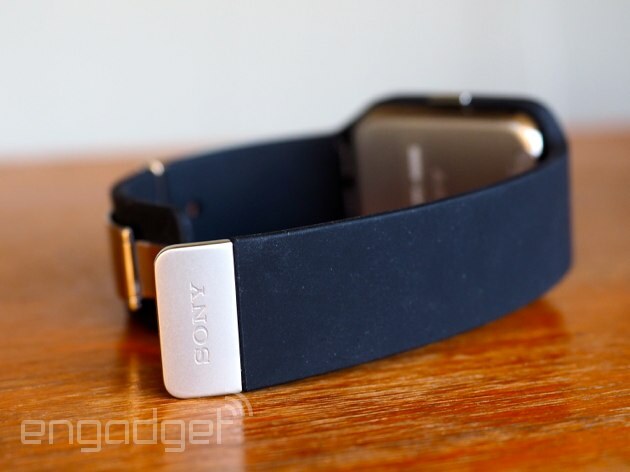 Talk about the Sony SmartWatch 3 with other people who own it too!